Our Video and Blog post below talks about how to apply for a Legal Aid Criminal Lawyer. If you have been charged with a criminal offence, and you can’t afford to pay for private representation, you can apply for grant of legal aid from Legal Aid NSW. A grant of legal aid means you either get a Legal Aid criminal lawyer, or you have a private lawyer, paid for by Legal Aid. 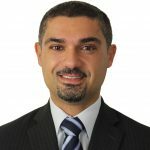 Sydney Criminal Lawyers® regularly acts as Legal Aid criminal lawyers; which means that the Legal Aid Commission pays them to work for less-fortunate defendants including those on a government allowance such as Newstart Allowance. Legal Aid provides legal advice, and representation in a number of different areas of criminal and other law, including family law. 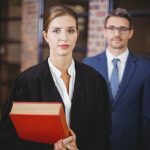 Legal Aid is government-funded, and works in conjunction with private lawyers to help fund legal representation for both serious, and non-serious, legal matters. If you are on a very low income, or you receive a government allowance, such as the Disability Support Pension, the Single Parent Pension, New Start allowance or Youth Allowance, you may be able to apply for legal aid. You may also be eligible if you are currently in custody. You can apply for Legal Aid online, or your criminal lawyer can help you. You will need to have proof of your income status with you; such as your Centrelink income statement, and bank account statements. You will also need a copy of your Court Attendance Notice which are the papers you received from police when charged with a criminal offence. Legal Aid provides free legal advice on a range of different legal matters. Generally staff won’t be able to get into anything complex during their advice sessions, but they will be able to advise you whether or not you need to engage the services of a criminal lawyer, and help you apply for assistance where necessary. If you are not sure whether your criminal matter is serious enough to justify hiring a private criminal defence lawyer, getting some advice first can help you make up your mind. 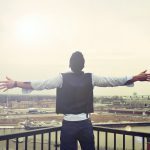 Can I choose my criminal lawyer? You can nominate a private criminal lawyer on your legal aid application, but the Legal Aid Commission will normally give you an ‘in-house’ legal aid solicitor unless there are good reasons to assign your case to a private law firm like Sydney Criminal Lawyers®. For example, if a legal aid solicitor is not available on your court date, or if legal aid cannot represent you because there is a ‘conflict of interest’ (eg they are representing a co-accused) or if there are other ‘exceptional circumstances’ you may be referred to a private law firm, such as Sydney Criminal Lawyers®, but this is by no means guaranteed. 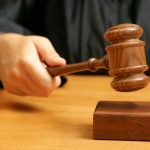 How do I know if my case is eligible? The majority of criminal cases and serious traffic cases are eligible for Legal Aid. Whether your criminal case is minor, or extremely serious, you can apply for Legal Aid. Legal Aid also takes on family and civil law cases. An experienced lawyer can advise you as to whether your case will be eligible, and help you apply for Legal Aid. The application can be made online at your lawyer’s office. Is there a limit to how much help I can get? 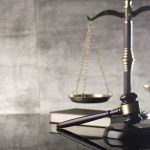 There are limits to how much Legal Aid will grant you, depending on a number of different factors, including the nature of the case and your personal circumstances. Legal Aid will advise you of what your limit is, and you can keep track of how much you are spending on legal costs through them. It is important that you are aware how much you have, and whether you are reaching your limit, because if you run out of funds before the case is finished, you may be required to pay for the rest yourself. You should also be aware that the amount paid by the Legal Aid Commission to your private criminal lawyer is far less than they would be paid if they were paid privately, and a lot of work is not covered at all by the grant of legal aid. The Legal Aid Commission will also be require you to pay a ‘contribution’ towards your legal aid grant, which is normally $75. The Commission will deduct that amount from your lawyer’s legal aid grant, and your lawyer will be expected to seek reimbursement from you. 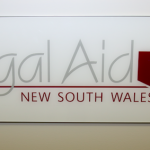 To find out more about Legal Aid NSW, look on their website or speak with one of our experienced criminal defence lawyers, who can help you apply for a legal aid grant. Sydney Criminal Lawyers® offer a free first appointment during which we can make a legal aid application for you. Please remember to bring along your Court Attendance Notice, Income Statement (eg Centrelink income statement) and 3 months of bank account statements.